This section of the Happy Valley website presents details of Bollington’s pubs, restaurants, cafés, hotels and guest houses. See the page for the establishment of your choice by using the lists under the navigation entry for Drink, Eat, Sleep on the left, or if using a smartphone, at the bottom of the page, or use the lists at the bottom of this page. We also have the award winning Bollington Brewery producing some outstanding beers, all available at the Vale Inn! We had a second brewery, Happy Valley Brewery (2009-2018), but that has now closed and the brew kit and recipies sold to a local pub owner and the beers can be sampled at the Crown Inn. See the historic pubs page and historic breweries page. As well as the pub pages, in this section of the Happy Valley website we also include a page for each café, restaurant and hotel/guest house. SatNav information is provided near the top of each page, the OS map reference and the postcode – use whichever is easiest for your SatNav. Each page also contains a Google map. The premises will be displayed in the centre of the resulting map. To see a wider area hold the mouse over the map and roll your mouse wheel backwards. The Google map also allows you to obtain directions to each location from your own location. 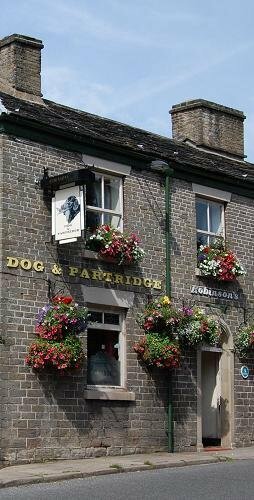 If you are interested in the pubs that are no longer with us have a look at the historic pubs page.